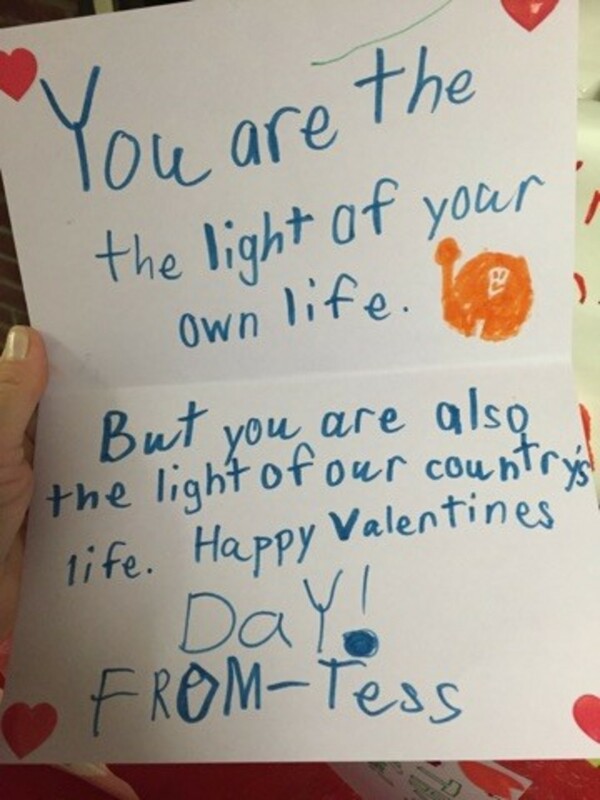 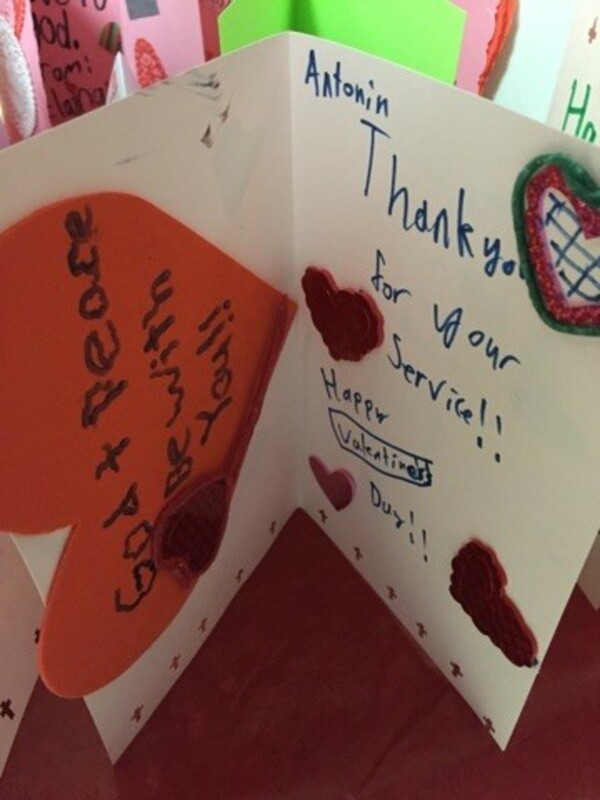 Valentines for Vets for the last 3 years. 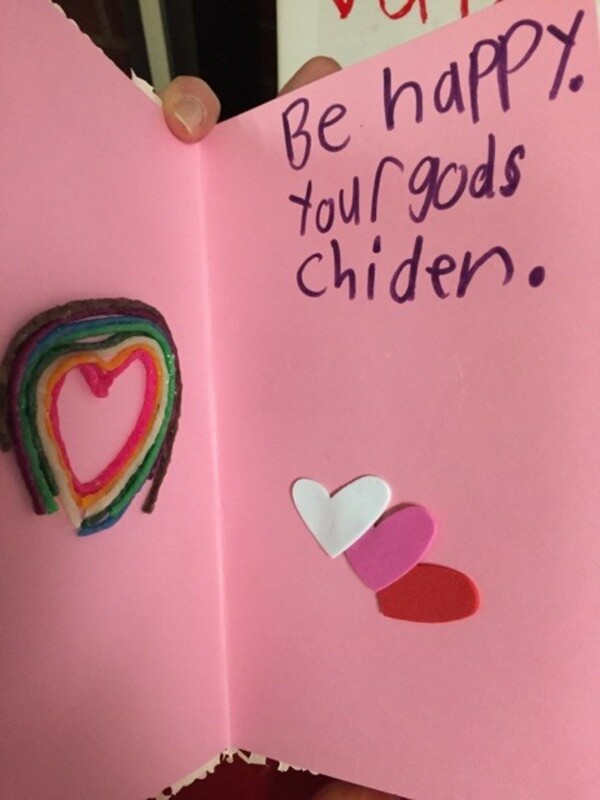 The children of St. Michael's 'St. 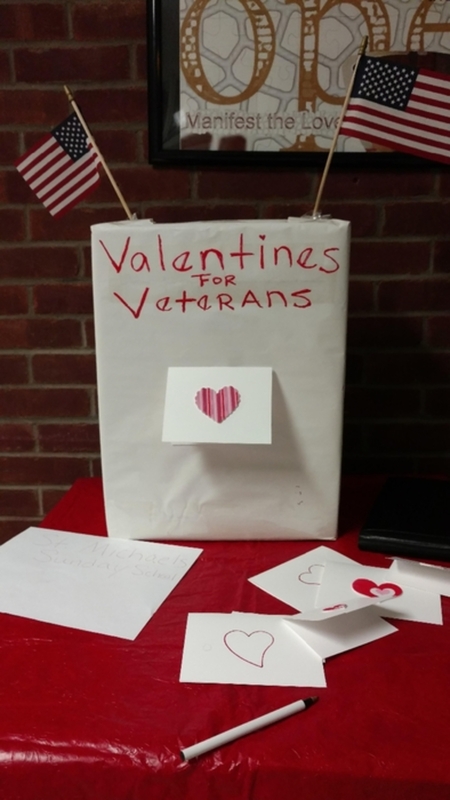 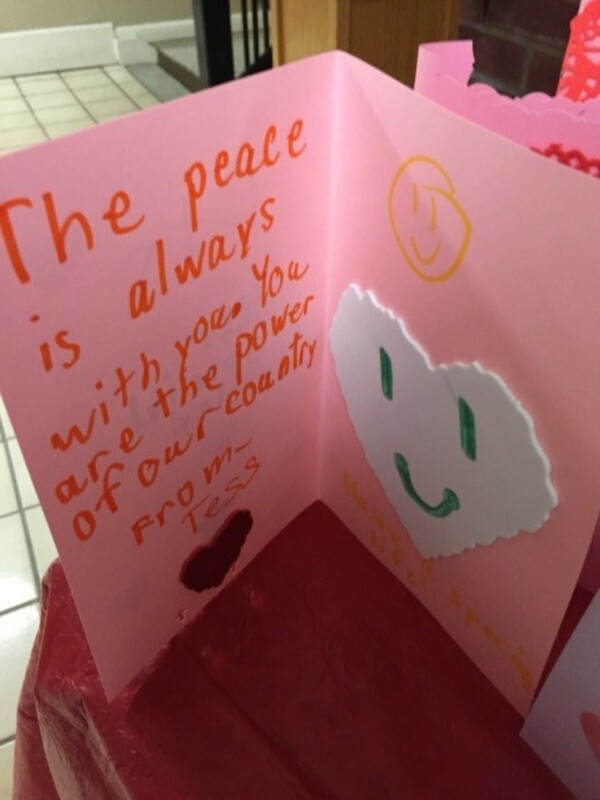 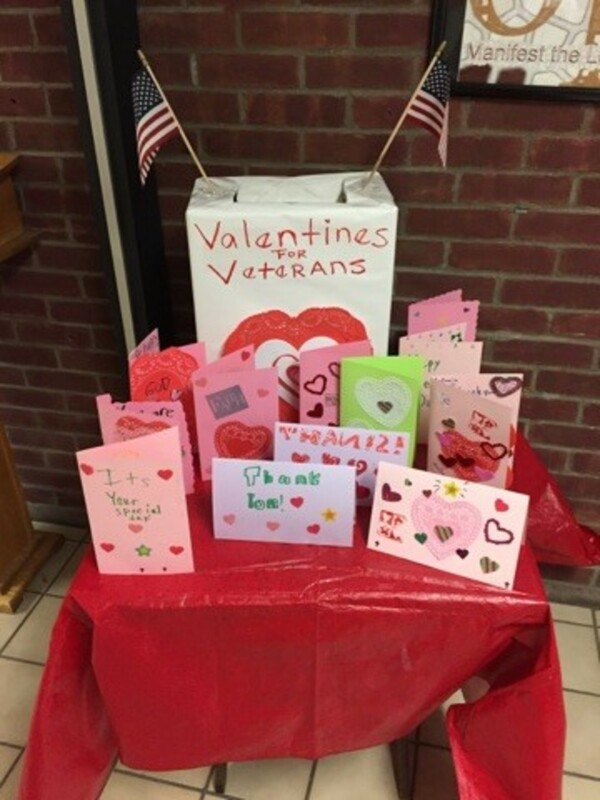 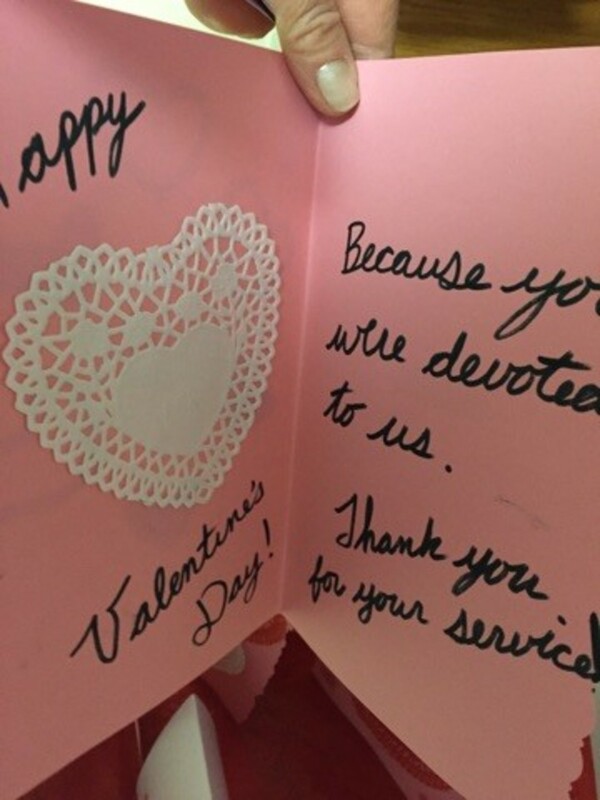 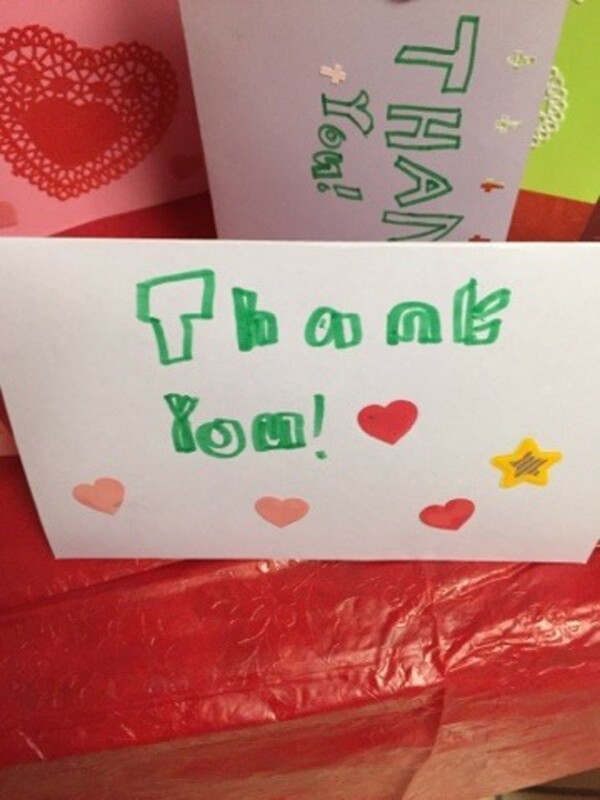 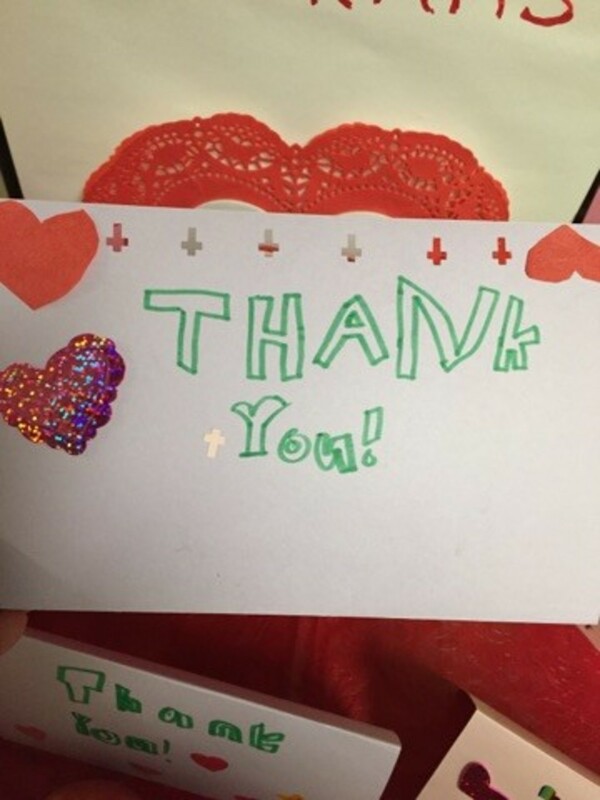 After-school Ministry', members of the parish, John Bullough Cub Scouts Pack#15 of Troy, and to the Girl Scouts Troop #2351 of Niskayuna - all create Valentines to be taken to the veterans at the VA Hospital and vets in nursing homes. 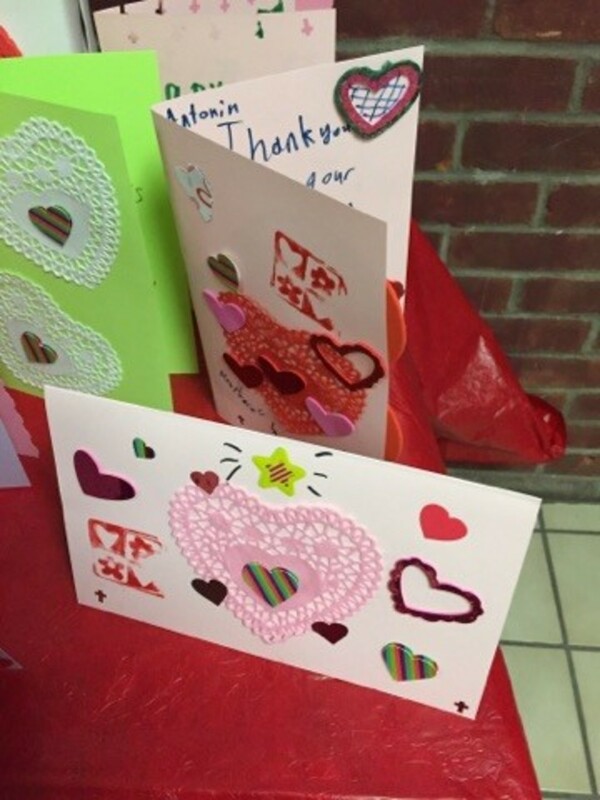 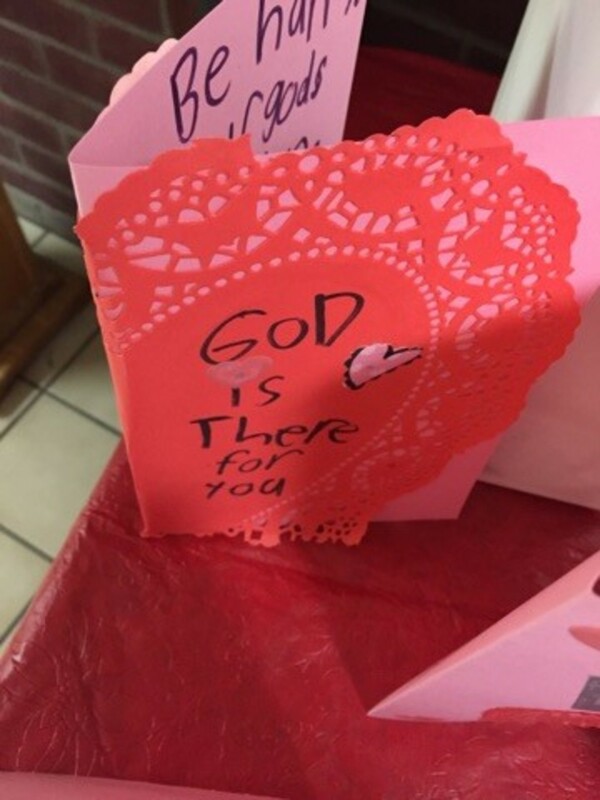 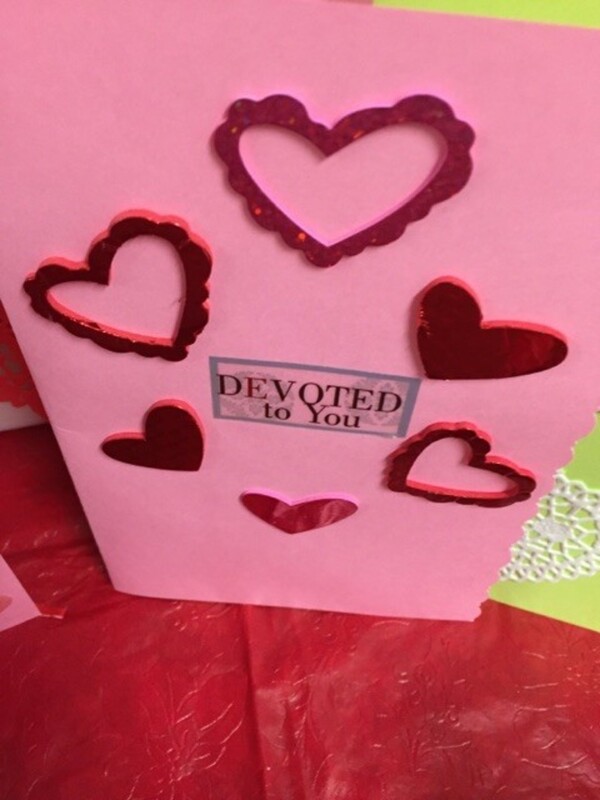 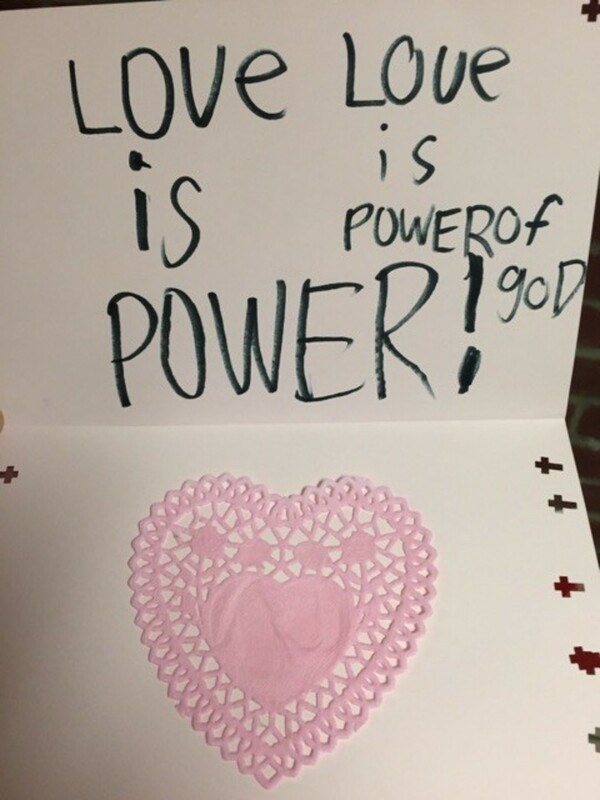 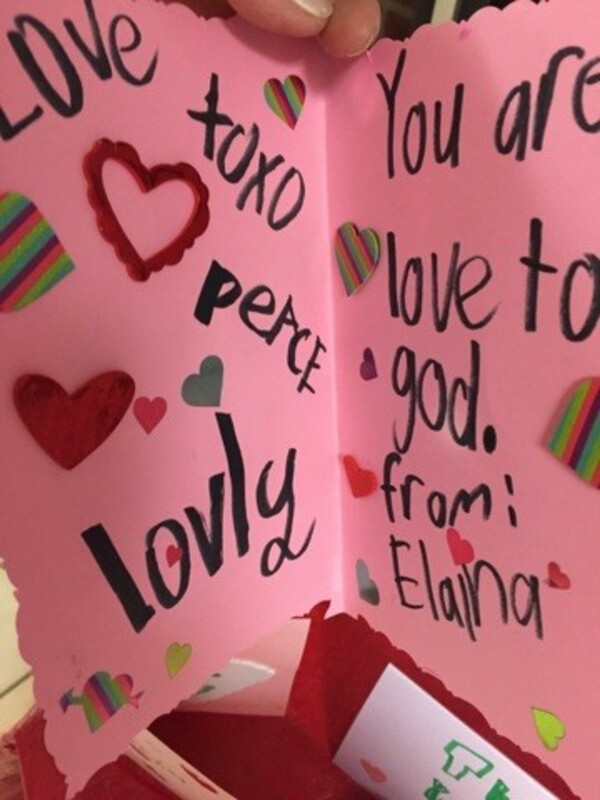 These photos are of the cards made at St. After-School.